Simple, yet classic, this 2-7/10 inch Ball End Double Hook features a laid-back design that integrates well with any decor. And the chic satin nickel finish adds a touch of class. It's an inspired way to create order out of clutter. Double Prong Robe Hook Chrome Organization with style has never been so easy. 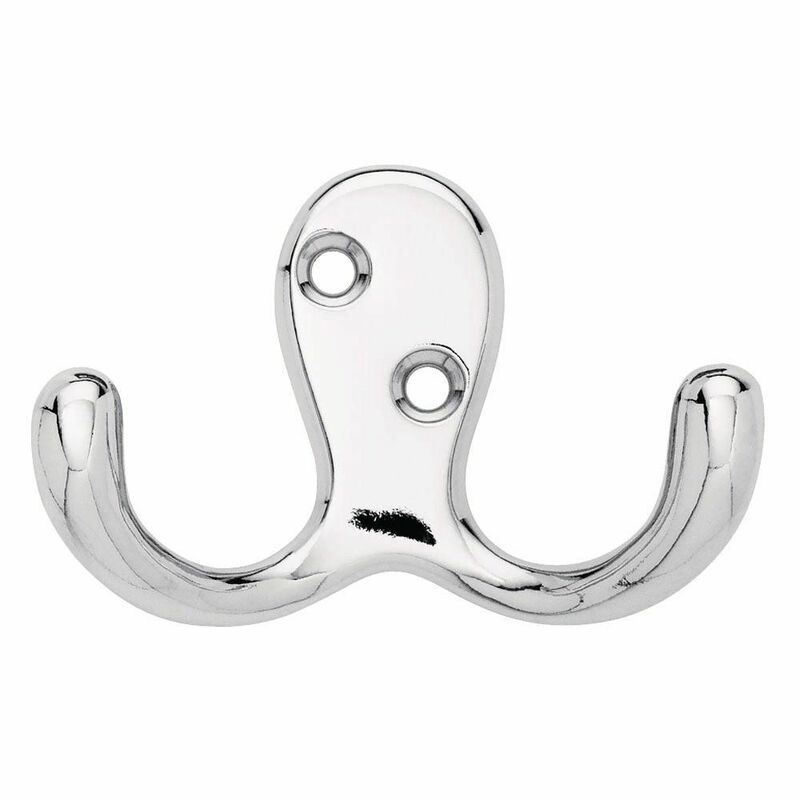 This metal hook is designed to hold a wide variety of items coats, hats, handbags, umbrellas, towels or robes. This classic design is perfectly suited for any room from the entryway to the bathroom. Double Prong Robe Hook Chrome is rated 4.8 out of 5 by 4. Rated 5 out of 5 by Melody from Exactly what I wanted. Exactly what I wanted. Rated 5 out of 5 by ranman from It's just a hook! Works well for hanging jackets, robes, or even hats from time to time.